TheCityFix is covering cities at COP21. Urban areas account for a large share of greenhouse gas emissions but are also tremendous agents of innovation to address climate change. Read our full coverage of the Paris Climate Conference as it relates to cities, buildings, and mobility. In anticipation of COP21 in Paris this December, 167 countries have submitted voluntary plans to reduce their overall emissions. In these Intended Nationally Determined Contributions (INDCs), 46 countries have explicitly identified buildings as a means to reducing emissions. While these include top emitters, like China, the United States and India, surprisingly strong buildings commitments have also been made by many smaller, developing states. Commitments by developing countries are key, since changes in their building policies and practices now can help to avoid future lock-in of high emissions and energy costs as their cities grow. Despite the promising nature of these INDCs, more action is possible. While a quarter of countries make reference to the efficiency of buildings in their plans, only one in ten details concrete actions in the buildings sector. Given that buildings account for one-third of global energy use, more countries will need to follow suit if the world is to achieve its climate goals. Codes and efficient construction: The most common building policies included were the development of (or changes to) building energy or construction codes. In many cities, national codes are leading to local-level implementation. Many countries committed to either updating their regulations (such as Turkey, Seychelles, and Myanmar) or establishing new ones (such as Grenada and Cape Verde) to save energy. Some, like Bangladesh and India, focused on codes for all future construction projects. Jordan, for example, will ensure that all new buildings meet the standards of LEED—a green building certification. 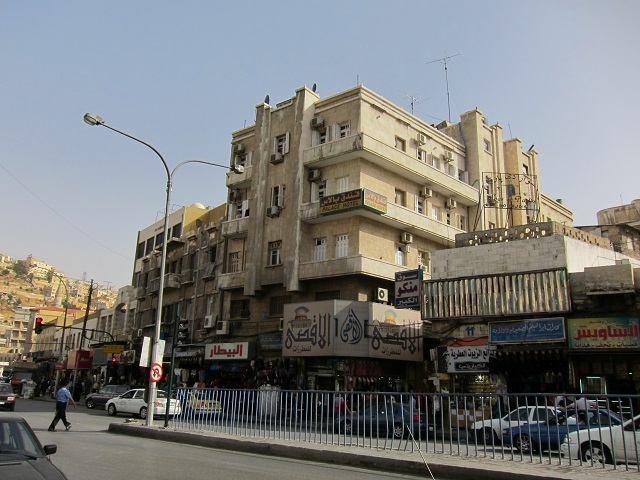 Jordan was also among few countries to incorporate social equity into its INDC, pledging to regulate the quality of insulation in low-income housing. Building retrofits: Many of the INDCs include plans to improve energy efficiency in existing buildings through retrofit projects, often beginning with public buildings. Djibouti plans to study the energy consumption of 10 buildings and improve the efficiency of an old ministry building while commissioning a solar photovoltaic array on its roof. Long-term, the country aspires to expand the project to all public buildings, significantly reducing electricity costs. Grenada stated that it will carry out energy efficiency retrofits on all of its existing buildings. Deploying technology: Most INDCs that discussed building efficiency mentioned promoting one or more technological solutions, such as efficient lighting, thermal insulation, smart heating/cooling technology, or other green building technologies. Lesotho aimed to phase out incandescent light bulbs and to embrace passive design. Grenada has planned to improve energy efficiency in its hotels by holding awareness campaigns and creating tax incentives for solar water heaters. Behavioral/operational solutions: Improving operations and changing the behavior of occupants in buildings present low cost opportunities to significantly enhance energy efficiency; however, commitments to carry out behavioral and incentive programs were less common in INDCs. Japan, Lesotho, and Jordan stated that they would carry out nationwide public awareness campaigns to encourage energy-efficient behavior and reduce demand. Jordan went a step further, planning to establish an in-house show room in the Ministry of Energy and Mineral Resources to display energy-saving practices to both the public and professionals. Financing: Identifying funds to pay for the up-front costs of building efficiency improvements has historically been a significant barrier to action, particularly in developing counties. Jordan was one of the only countries to mention financial mechanisms for energy efficiency projects. The country detailed plans to provide funding for schools, hospitals and other facilities seeking to assess their energy savings potential, and will make energy-related capital improvements in public facilities and buildings. Building energy information: The INDCs that discussed energy efficiency most overlooked improvements to information regarding current energy use in buildings—including audits and the establishment of baselines. Despite being a necessary first step for countries working to improve energy efficiency, only four countries included commitments relating to audits. For the first time in the history of COP, buildings have their own dedicated day at the negotiations, and several platforms for global collaboration on buildings will be launched or expanded during the conference. Among these platforms are the Global Alliance for Buildings and Construction, launched by the French government to provide a global forum for improving building efficiency, as well as the Building Efficiency Accelerator (BEA), a multi-stakeholder project and policy deployment partnership. The BEA falls under the Sustainability for All (SE4ALL) umbrella, which aims to double the rate of energy efficiency of buildings in cities worldwide by 2030. With INDC commitments, dedicated sessions at COP, and new platforms, efficiency in buildings is being recognized as an integral part in helping countries and cities take action on climate change worldwide. LEARN MORE: For updates on buildings as a solution for cities of the future subscribe to the Building Efficiency Initiative newsletter.